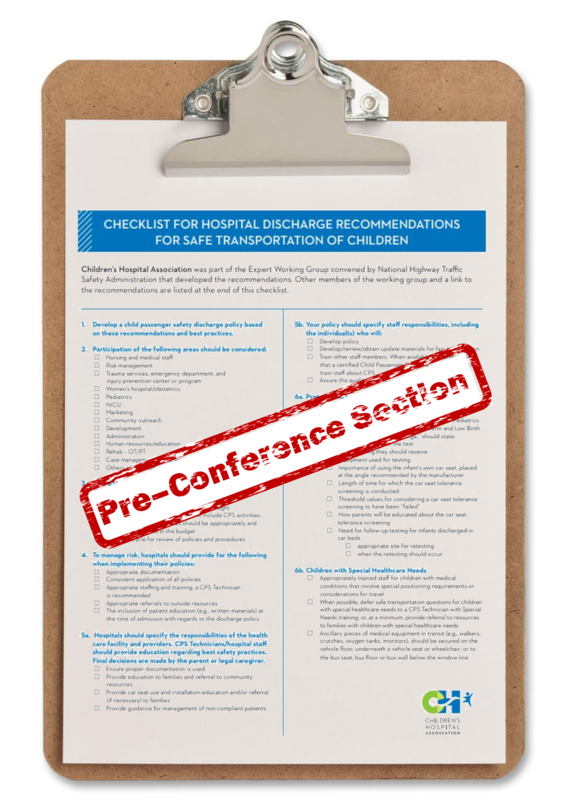 Whether you are trying to start a hospital-based Child Passenger Safety Program or you work in an established program, this pre-conference workshop is for you. Dr. Natalie Davis, University of Maryland, School of Medicine and Dr. Ben Hoffman, Oregon Health & Science University will discuss the car seat tolerance screening including the history and current research. Best practice recommendations for hospital-based programs will be discussed based on the Children’s Hospital Association’s “Checklist for Hospital Discharge Recommendations for Safe Transportation of Children.” Opportunities for discussion concerning community standards on policies, car seat loaner and distribution program as well as staff training will be incorporated throughout the day providing you the opportunity to gather ideas from others.